While it is a heart-warming privilege to pay tribute to Pujya Sri Swamiji, to do justice is a daunting task. The vast expanse of time is occasionally dotted with the birth of a true teacher, one who personifies the term Guru. This individual is gifted with the ability to render complex ideas into words that are easily understood and assimilated; and this individual is endowed with the compassion to touch the hearts and lives of people in many ways. In our midst, was such a Mahatma—our Pujya Sri Swamiji. Decades rolled by since Swamiji embarked on a mission to take the message, the light of the Śāstras to the masses. Through trials and tribulations, through pain and deprivation, by his determination, his devotion and sheer will Swamiji kept the torch aglow, lighting the torches of the next generation of torch-bearers. For the blessed many, the torches Swamiji lit have marked the beginning of a lifelong marathon as ācāryas and sevakas. They, as torch-bearers, have ventured out into this vast land and beyond to spread Swamiji’s vision and to create yet another generation of torch bearers. And others, though their commitments lie in different spheres, by merely imbibing the values as taught by Swamiji, have become beacons of light to their families and communities. Thus, the paramparā continues and will continue to resonate Pujya Swamij’s vision for all time to come. Because his innate nature was to give, it flowed with unstinting love and devotion. In his love for communication, his language, prose, style, diction and eloquence would undergo tremendous transformation in order to accommodate the changing faces of time, place and people. The word ‘sacrifice’ comes to mind when one considers the enormous time and effort that goes into the teaching, but any indication of the sense of that word was conspicuously lacking because it was his innate nature to keep on giving – giving compassion, love, knowledge, laughter and so much more wherever and whenever and to whomsoever it is needed. Pujya Swamiji’s ability to reach into the very nucleus of a word and bring forth varied meanings and concepts made him a rare phenomenon. It is this ability that enabled him to expound on a single topic, such as śānti, śraddhā, namaḥ or om, for hours, with a deluge of words that surged like the Ganga in spate. It reminded one of a stream gathering momentum as river after river merged in it. Topic merged with related ones and then unrelated ones and often took a complete detour. It would take us anywhere from Vedanta to music, politics, science, psychology, values, jokes and the like. But Swamiji’s detour always slid smoothly back to the exact point of digression; even to the precise word, from where the detour took place. This scenario prevailed time after time leaving us perplexed as to how anything as uncanny, as impossible was this is possible. His mastery in teaching was evident in the way he handled the subject matter, which is to remove all doubts and misconceptions that prevent one from understanding one’s essential nature. Having a clear comprehension and appreciation of the problems that beset the human mind, especially in the contemporary society, such as isolation, limitation, self-non-acceptance, his rare capacity to touch one’s heart with the depth of words unfolded the understanding of one’s innate freedom. Swamiji’s unique teaching style combined logic and scholarship, to make the profound ideas of Vedanta surprisingly current and simple to understand. 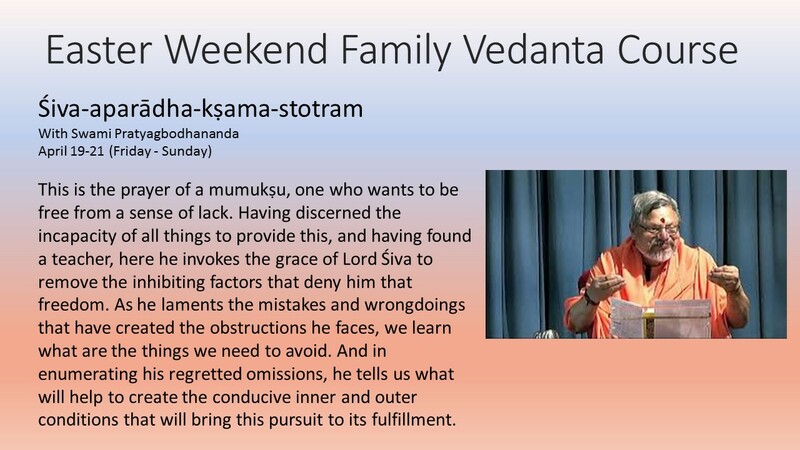 For him, Vedanta was not just a subject matter; it is reality of life that can be communicated. Today, the world hails the teacher – Sri Swami Dayananda – as a leading figure with unsurpassed scholarship and clarity of expression. His vision and message came through in a conscious process of unfoldment about life and its endless beauty, the world and its magical illusions, the profundity of God and the self. And, today, Swamiji stands tall, not only as an exemplary ācārya of Advaita Vedanta, also as the very epitome of selfless service. Swamiji was a visionary in every sense of the word. His vision did not stop at this happening called Arsha Vidya Gurukulam but has taken into its fold several missions to bring about universal harmony through unity. One such journey for peace is through seva. It seems as if I have shared a great deal about Pujya Swamiji but in fact it is not even the periphery. In a different context, the Kenopaniṣad says, “The eyes cannot reach it, or speech, or even the mind. 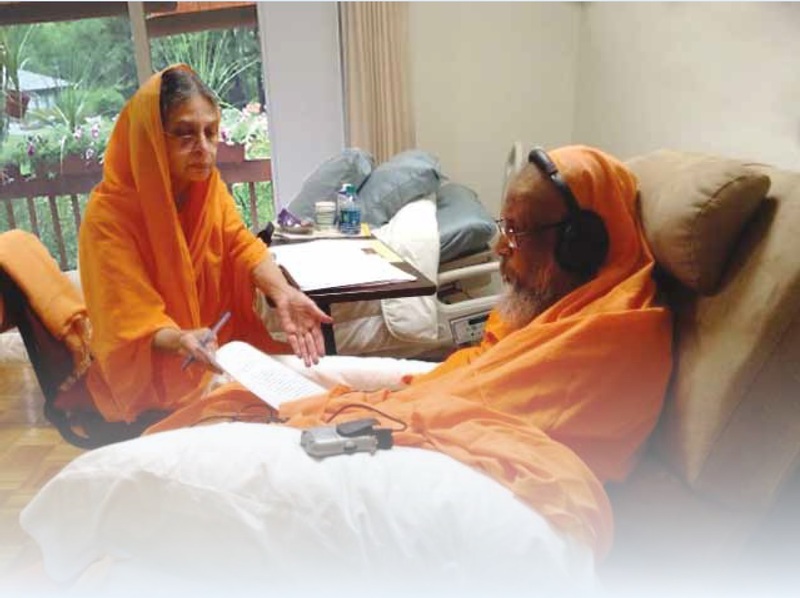 We do not know it nor do we know how it could be explained differently.” You can see that I am faced with a similar predicament here in struggling to delve into the depths of Pujya Swamiji, the Visionary. I am trying desperately to fathom a colossal iceberg when I cannot even comprehend its tip. How foolhardy that is. But then again, where is and who has the wherewithal even to conceive a way to express something noteworthy that would do justice to Swamiji? That being so perhaps it would be prudent to leave the unfathomable un-fathomed.